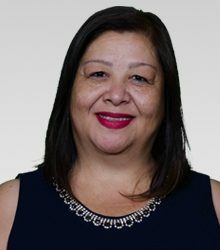 Cristina “Cris” McGee is an Escrow Officer and has been in the real estate industry since 1990. She is bilingual and well equipped to handle any complex real estate transaction. She is ready and willing to help you with all of your escrow needs where she is known to go that extra mile for all of her clients. You can reach Cris McGee at 915-593-3400.